On January 25, I, as chairman of the United Liberation Movement for West Papua (ULMWP), led by the courage and spirit of the people of West Papua, delivered a historic petition to the UN High Commissioner for Human Rights, Michelle Bachelet, in Geneva. 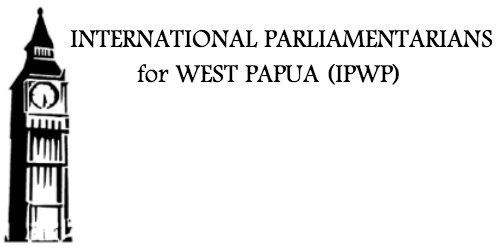 This petition carried the voice of 1.8 million West Papuans, who faced arrest, imprisonment and torture to sign it. Never in history has a petition signed by 70% of a country’s population made it to such a high level of the UN. West Papua spoke to the world united behind their right to self-determination and call for a referendum on independence from Indonesia. Since then, the Indonesian occupation has desperately tried to crush the spirit of the West Papuan people through arrests, intimidation and repression. This is how the colonisers react when we peacefully exercise our rights, when we sign petitions or demonstrate. Just this month, Papuans in Timika and Jayapura gathered to thank the Vanuatu government for their support during the meeting with the UN High Commissioner. They peacefully assembled, put up a banner and released a political statement. In Jayapura, they held a peaceful prayer meeting. The assembled Papuans were met with harassment and scare tactics. The Indonesian security services tried to stop the gathering, and have been chasing down anyone involved with the committee which organised the petition. On January 15, the office of the ULMWP’s Political Bureau was raided by Indonesian police, military and intelligence. Ten people were arrested. Four people are still being detained. Recently the offices of the KNPB were raided and six activists arrested. Three of them, all associated with the petition, continue to be imprisoned. On Tuesday February 5, the West Papua Action Committee held a gathering. The Indonesian police forcibly broke up the meeting, chasing those who fled. The actions of the West Papuan people are peaceful and democratic. We do not hide our demands, or our desires for freedom. Indonesia presents itself as a democracy to the world. Would a genuine democracy jail people for signing a petition? Would a true democracy arrest people for peacefully gathering? Would a legitimate democracy deploy chemical weapons against civilians? This is the reality of the illegal Indonesian occupation of West Papua. I know that Indonesia’s actions aim to terrorise the West Papuan population, to systematically destroy our spirit and unity. The Indonesian police and military want to stop people from even holding a demonstration, from even signing a petition. Indonesia knows that these are our tools for telling the world about what happened in 1969. Indonesia may try to scare us West Papuans, but Indonesia is the one who is afraid: afraid that we will expose their sham ‘Act of Free Choice’, and expose the illegitimacy of their entire claim to West Papua. Papuans are still hiding in the bush of Nduga, having fled the bombs and chemicals of the Indonesian military. Now 350 children are hiding in Jayawijaya as a result of Indonesian attacks. Papuan activists are still in prison. Our people are still not free. On behalf of my people, and on behalf of those Papuans who have were chased and harrassed by the Indonesian police for putting up a banner, I was to thank the people and government of Vanuatu for their support and bravery in facilitating the meeting with the High Commissioner. The demands in the petition are the West Papuan people’s demands, they’re not Benny Wenda’s personal demands or demands made up by the ULMWP. They are demands made by the West Papuan people to the UN to correct what happened in 1969, to correct this stain on the UN’s history by holding a referendum on independence. The Indonesian government must immediately grant full and unrestricted access to West Papua for the UN High Commissioner for Human Rights. Indonesia must allow the Organisation for the Prohibition of Chemical Weapons into the Nduga Regency to investigate the chemical weapons use. Indonesia must lift its repressive restrictions on international journalists and allow them to show the world what happens in West Papua. These are simple demands, which the Indonesian State could easily fulfil. Why, then, does it not? What is Indonesia afraid of? Indonesia fears that giving the world access to West Papua will allow our demands for merdeka, for self-determination and independence, to ring forth. Indonesia knows that we will not stop struggling for a referendum, a vote, on independence. It is time Indonesia hears our call, and allows us to decide our own destiny.